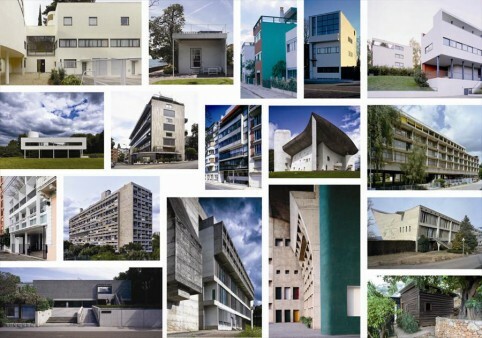 The 17 buildings of Le Corbusier, inscribed on the World Heritage List. Credit: Fondation Le Corbusier. Τhe World Heritage Committee has inscribed the Architectural Work of Le Corbusier on the World Heritage List, namely 17 buildings in seven countries: Argentina, Belgium, France, Germany, India, Japan and Switzerland. Responding to the challenges of architecture and society in the 20th Century, Le Corbusier’s contribution to the Moderne Movement aimed to instigate a unique forum of ideas at a world level; it facilitated the invention of a new architectural language and the modernization of architectural techniques; it met the social and human needs of modern man. Chosen from the work of Le Corbusier, the 17 sites comprising a transnational serial property are spread over seven countries and are a testimonial to the invention of a new architectural language that made a break with the past. They were built over a period of a half-century, in the course of what Le Corbusier described as “patient research”. The Complexe du Capitole in Chandigarh (India), the National Museum of Western Art, Tokyo (Japan), the House of Dr Curutchet in La Plata (Argentina) and the Unité d’habitation in Marseille (France) reflect the solutions that the Modern Movement sought to apply during the 20th century to the challenges of inventing new architectural techniques to respond to the needs of society. These masterpieces of creative genius also attest to the internationalization of architectural practice across the planet.